Dottore Gianni and I subscribed to the third series offered by the Greenville Symphony, called the Spotligh Series, during my first two years here. For the 2014-15 season we decided against (even though we only had to pay for one person - quite a deal!). There were several reasons, one having to do with money (though this is by far the cheapest series: 3 concerts for $15 each, and a discount for series holders). The first two seasons I got great deals on subscription prices. For the current series I had to pay full subscription price, about $500 (which is a small amount when you consider that it covers ten concerts, five by the full symphony, five by varying but still relatively large portions of the orchestra - and we have great seats...er, make that seat.) In addition, the Yo-Yo Ma concert last October was offered to series holders months before the general public was able to buy. I jumped at this offer, still, one pays to see Yo-Yo-Ma, and that added $105 to the total. Another very important reason is that the offerings this season seemed so "far out" that whereas I could have handled them, the good doctor I fear could or WOULD not. But the last concert interested me and Dottore Gianni, as one piece was by Mozart, another by CPE Bach, and the last by Prokofiev. I am a sucker for Mozart, and I also love Baroque, of which CPE Bach is a good example (in its late phase). Prokofiev I was first introduced to with Peter and the Wolf when I was a kid, and later I fell in love with his Romeo and Juliet ballet, also the Lieutenant Kije Suite among others. So, aware that this series never sells out I made a decision on the day of the concert, drove into town and bought a ticket at the door. A reminder: this series places a spotlight (yes, Jack) on some of the finest musicians in the GSO, usually first chairs of the various sections. The instrumental combinations are usually less than...usual, but in the hands of fine musicians no matter how odd a mixture for duo or trio might seem, the result is generally pleasant. "Pleasant" seems to be the desired end of this concert, to judge by its title: "Smiling and Dancing." Why a stamp? Why not? The first piece was the Sonata in B-flat major for Bassoon and Cello by Mozart. Or WAS it? Some musicologists dispute the authorship, though the majority agree with it. As for the combination of instruments, as noted above, this is not perhaps the first choice of pairings one might imagine. In fact it has been claimed it was originally scored for two bassoons, and has indeed been performed by that duo, as well as by bassoon and piano, by cello and cello, by cello and double bass, and apparently at least once by two trombones! Two sources I consulted mentioned those instrumental pairings, and in one of the sources, a 2009 review of a concert in Augusta Kentucky (where?) it was played by two cellists. Interestingly, to Dottore Gianni's ear the first movement seemed more andante and the second more allegro, but who is he to argue with Mozart? At very least it began sedately, moved with more brio in the second movement, and by the third it became more bright and more difficult, with trills a-plenty and octave jumps galore, along with other surprises. One critic called the last movement a "rollicking rondo," a slightly forced phrase, if you ask me (or the good doctor) but not inaccurate. my blog - Wolfie, Wolfie, you're a naughty boy! 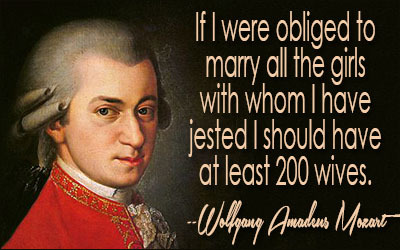 It was probably written in 1775, when Mozart was at the ripe old age of nineteen, but was not published until at least 1800, after the composer's death. Again, IF he wrote it! "Bosh!" to that assertion, shouts Dottore Gianni. The story of its origins certainly indicates that Mozart DID write it, as it was commissioned by an ardent amateur musician, for whom Mozart also wrote his only surviving bassoon concerto. We know he wrote more than one sonata featuring this duo, as in a letter to his father Mozart wrote that the same musician, Freiherr Thaddäus von Dürnitz, had commissioned three more, though alas, the others have never been found. In other letters between father and son, Mozart claimed that the good Freiherr had not bothered to pay for any of those commissions! I usually write more about the composer than the composition, but about Mozart I've written in earlier blogs, so I've limited biographical information on him to that which concerns the sonata So much for Mozart, but brava to Leslie and Amy (if I may be so bold as to employ first names). 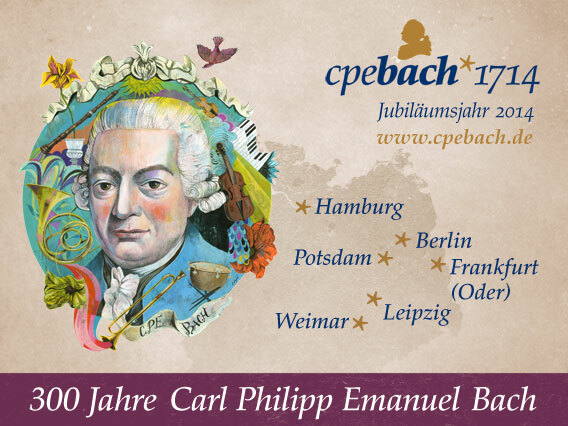 About CPE Bach (that's Carl Philipp Emanuel - 1714-1788) I have not written much if anything in earlier reviews, so I will offer a bit o' bio. His father, the great Johann Sebastian Bach, fathered 20 (!) children in two marriages (seems he was great not only in making music...). Only 11 survived into adulthood, four (of seven) from the first marriage, seven (of thirteen!) from the second. CPE was one of the offspring of the first union, which ended in the death of JS's wife. Brief Sidebar on Bach pere: JS sought consolation after the the death of his first wife and found it in a lovely soprano, much younger than the aging Bach. If procreation was what he had in mind, he chose well! Thirteen! CPE was educated in music by his father (darn! couldn't he find a more competent teacher?) whose influence is obvious, as is that of other early baroque masters. The P, for Philip, was chosen to honor his godfather, JS's friend and another fine musician, Georg Philip Telemann - CPE seems to have been MADE for music! 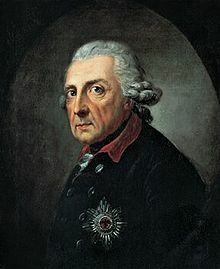 With a letter of recommendation from daddy, CPE offered his services to the King Frederick II ( the Great) of Prussia, and was accepted. composer/performer himself, and may have been looking for fine performers to add sparkle to his rather dull, certainly less than brilliant pieces of music. Frederick played the flute, and wrote 100 sonatas for that instrument, as well as four symphonies, but not many (perhaps not any?) are played these days. JS Bach and Frederick met in 1747, when at his magnificent Sanssouci Palace in Potsdam (which I visited during a stay in Berlin in spring of 1999 - magnificent, even in miserable weather) Frederick played a musical theme he had written and challenged Bach to improvise on it. JS of course dazzled the king, luckily, one assumes, for CPE. Frederick was a fascinating man who loved the fine/performing arts and learning every bit as the art of war. He was better at the latter than the former, but he remained a devoted music lover for his entire life (would that more heads of state did/do so!). In her excellent introduction to the CPE Bach piece in the concert, principal second violinist Joanna Lebow spoke eloquently without notes (yes I do have a slight crush on her - what else is new?) about the CPE Bach music she was about to play, and commented on Frederick's love for the arts. To paraphrase: "Frederick listened to and played orchestral music every evening each week except for two, and on those two evenings he attended the opera." His was what is called an "enlightened absolutism" and he certainly showed it in his appreciation for music. Back to Bach (CPE that is). 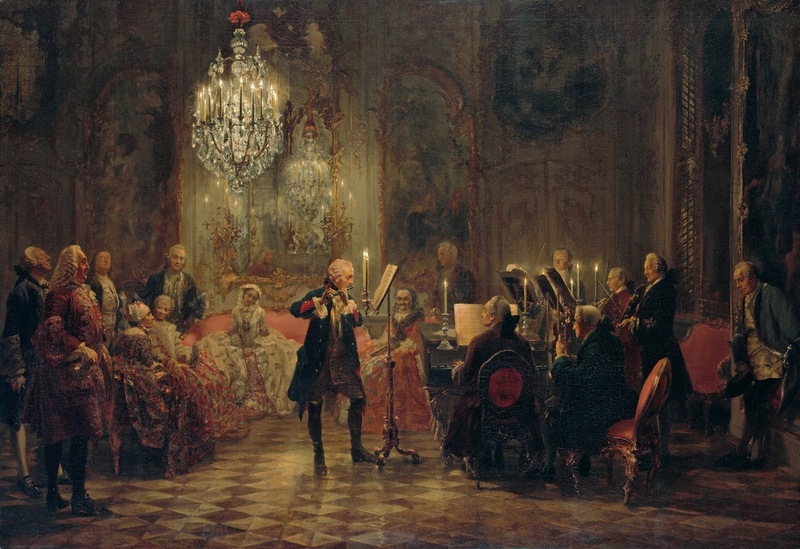 His work at the court of Frederick the Great put him on the musical map, so to speak, particularly a sonata series he wrote and dedicated to Frederick. Later major positions included taking over from his godfather (Telemann, remember?) as director of music in Hamburg, and composer of for Frederick's sister, Anna Amalia. His influence was wide. Haydn studied his work in preparation for his own compositions, and Mozart said of CPE, "He is the father, we are his children." 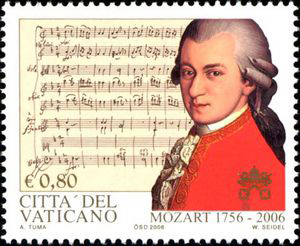 Mozart also conducted a late work of CPE's, Die Auferstehung Jesu (The Resurrection of Jesus). Dottore Gianni loves it when a connection between two composers featured in the same concert can be made. CPE developed, it is said, the "empfindsamer Styl" - WHAT??? I cannot possibly explain it, so I'll let my friend Wikipedia answer: "The content of his [CPE's] work is full of invention and, most importantly, extreme unpredictability, and wide emotional range even in a single work, a style that may be categorized as empfindsamer Styl. [AAAHHH!] It is no less sincere in thought than polished and solicitous in phrase." CPE, W goes on, was among the first to make free use of harmonic color for its own sake since..." the era of Monteverdi (who, just fyi, lived from 1567 to 1643). On to the music! In her fine introduction, Joanna Lebow also noted, when speaking of his empfindsamer Styl, that CPE demonstrated the unpredictability and wide emotional range physically when performing it, by much movement, anguished looks, and so on. Ms Lebow apologized that she and her fellow player, principal (and endowed) chair bassoonist Amy Yang, would not attempt CPE's dramatic movements and expressions, but that she hoped their playing would offer the style without the physicalizations. And I assure you it did. This particular work has not been widely written about (as is the case with the Mozart) but I found a short somewhat pretentious description by Johan van Even on music web-international.com: He says that it is "a specimen of a genre not well represented in Bach's oeuvre...Only three duets from Emanuel's pen are known; one of them has been lost. The two instruments are treated on strictly equal terms. Sometimes they follow their own route, but there are also passages in which they imitate each other and there are episodes in parallel motion." Dottore Gianni makes about as much of that description as he does the description of empfinsamer Styl - precious little! So what? As promised the two fine musicians demonstrated it in their playing better than any verbal expression of it could. Bravo!!! Now! On to the last performance of the evening, another small group, but more than double the size (by one) of the first two pieces: the Quintet for Oboe, Clarinet, Violin, Viola and Double-Bass, Op 39 by Sergei Prokofiev (1891-1953). I can't resist relating something of his biography, as it's an eventful one. 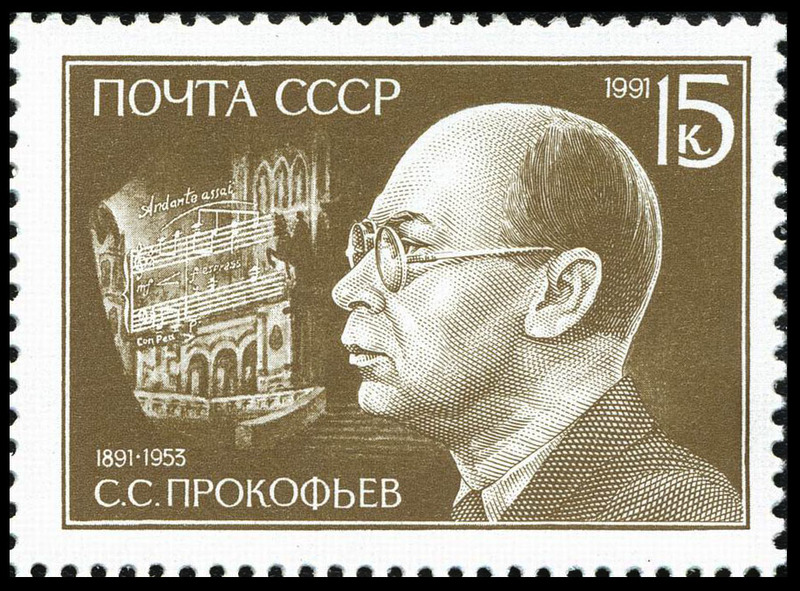 Another young wonder as a composer, Prokofiev composed his first at the age of nine. 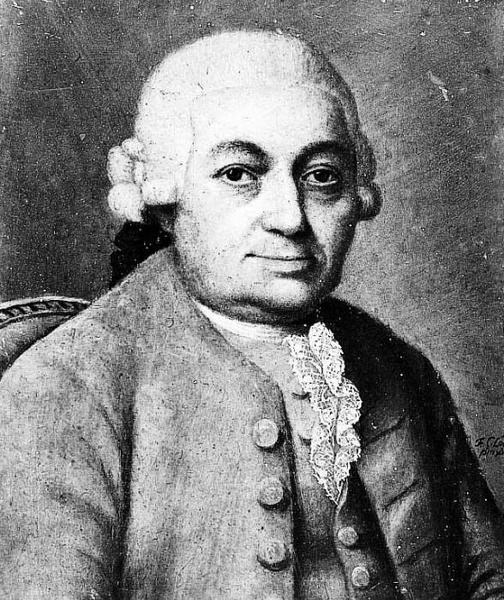 He attended the St Petersburg Academy where he gained a reputation as a musical rebel. In 1913 the music of his second piano concerto was so despised at its premiere that the audience the audience left the auditorium shouting, "To hell with futuristic music! The cats on the roof make better music!" But the modernists loved it and his career moved forward, helped mightily when two years later the great impresario Diaghilev commissioned a ballet from the composer for his renowned troupe, the Ballets Russes. It was rapturously received at its premiere in Paris, causing "a sensation among both critics and colleagues." Diaghilev commissioned three more ballets from him, all successes. Interestingly, Prokofiev preferred to write operas, but he was not nearly as successful in that genre. He left Russia (wisely) after the Revolution and resided in the US for a time, also in Germany, but for the most part in Paris. 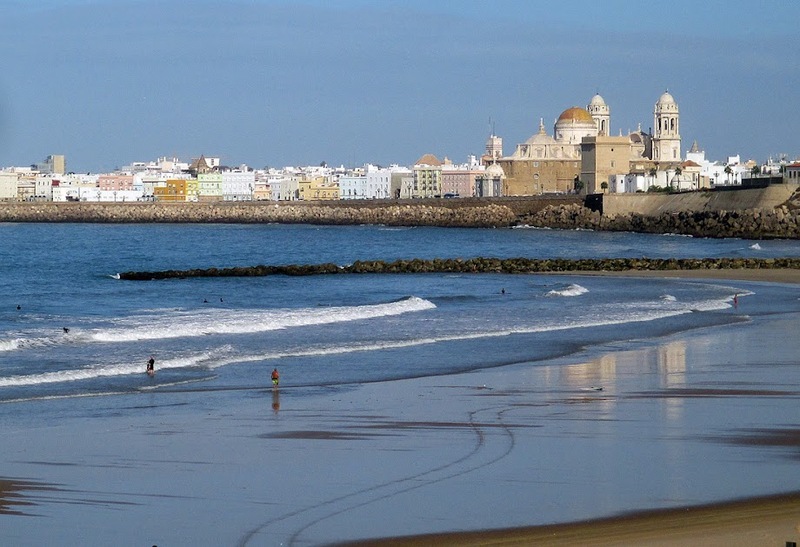 While there he married a Spanish singer, Carolina (Lina) Codina, and they had two sons. He returned to Russia (unwisely) in 1936. He enjoyed some successes there, most notable Lieutenant Kije, Peter and the Wolf and Romeo and Juliet, the last of which, performed at the Kirov, was hailed as the crowning achievement of Soviet ballet. 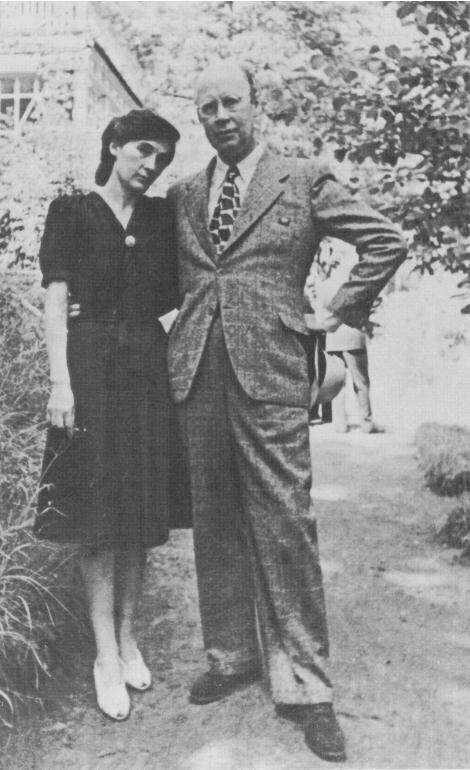 He left Lina for the 25 year old writer/librettist Mira Mendelson, a woman about half his age. In 1945 he appeared to be at the peak of his career, but in 1948 he was accused of "anti-democratic formalism (described as a"'renunciation of the basic principles of classical music' in favor of 'muddled, nerve-wracking' sounds 'that turned music into cacophony.'" He was then denounced by the politburo, his income was severely curtailed, and he was forced to write works that would be simple enough to appeal to Stalin. Nearly all of his late musical works were refused performance because of the denunciation. He died in 1953 of unknown causes (hmmm...) one day after Stalin's death was announced. W, from which I have quoted above, writes that "The leading Soviet musical periodical reported Prokofiev's death as a brief item on page 116. The first 115 pages were devoted to the death of Stalin." So it goes. It may be of some consolation that today, again according to Wikipedia, "Profofiev may well be the most popular composer of 20th century music. His orchestral music alone is enjoyed more frequently in the US than that of any other composer, save Richard Strauss, while his eras, ballets, chamber works and piano music appear regularly throughout major concert halls worldwide." The story of the quintet is pretty interesting as well. I looked again toward the world of Wiki for info, but also from David Nice's book Prokofiev: From Russia to the West 1891-1935 Vol 1. In 1921 Boris Romanov (no relation to the Tsar, luckily for him), in Paris with the ballet company from his Berlin-based Russian Romantic Theatre (quite an international, right, three countries in one sentence? 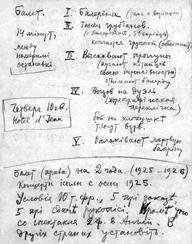 ), asked Prokofiev to write "an up-to-the-minute score which could make the most of small instrumental forces." The timing was perfect. 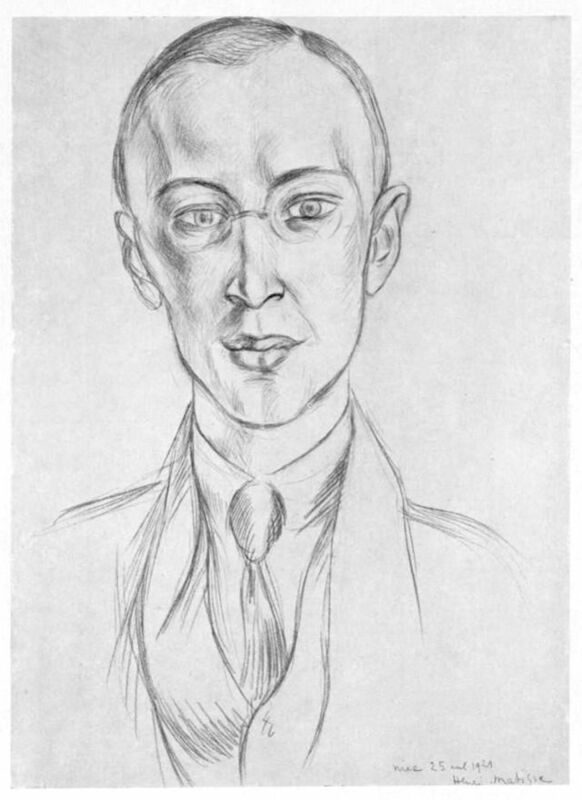 Prokofiev wanted to write such a piece, as Stravinsky and others were doing so, but hadn't found the time until he was commissioned to write music for this ballet - the commission fee suddenly gave him the time. Romanov's scenario was taken from "a farcical marionette-like ballet he had choreographed in 1913-14 with the improbable title What Happened to the Ballerina, the Chinaman and the Tumblers." The new ballet was called Trapèze. Perhaps not as intriguing a title as the first, but what it lost in intrigue it gained in brevity. To give you some idea of the music from an authority (no. not Dottore Gianni, but David Nice in his book), I'll piece together briefly some of what Mr Nice had to say about it. He writes that the music "makes no compromises for the sake of dance. There are oddities in every movement." Dottore Gianni is no authority but he and I can both easily agree with Mr Nice on this! He quotes the composer explaining the third movement to Romanov. It was, said Prokofiev "the most difficult for musicians and dancers, for it is written in the form of a quick, rushing fugato in 5/4 time." Mr Nice notes that in fact the meter in the completed third movement is 10/8, not particularly dancer-friendly. He goes on to note that "The cleverest movement is also the most entertaining, with shrieking ricochets of clarinet and oboe providing the most joyous circus turns in the ballet..the promisingly pizzicato bass of the fifth [movement] suggests a jam session," and that "the finale is the most danceable stretch of the entire score. this one - it's certainly looks like Russian futurism! Later in the year Prokofiev incorporated the ballet music into the quintet, and the rest is history. I confess that throughout the performance of it I kept thinking, "How does one dance to this?" For unlike Kije, Peter, and R&J, which are certainly modern music but which contain striking and memorable melodies, the quintet IS futurist in nature. It is a crazy piece and in addition to Mr Nice's pointing to the shrieking of the oboe and clarinet ("shrieking" is apt, as is "richocets" but for me as for the good doctor I recognized nothing of the circus in that section), the violin (played by the wonderful Xiaoqing Yu, concertmaster of the GSO) goes a bit mad in sections as well. While the music makes little sense to me and is often cacophonous, I enjoyed it very much, and it was excellently played. In addition to Mr Yu, oboist Virginia Metzger (who also introduced the piece in a wry, sharp manner), clarinetist Anthony Marotta, Kathryn Day on the viola and Tim Easter on the bass, all of whom are endowed chairs of their sections, played with assurance, and it seemed to me, with joy. All in all a fine hour of music - for that is all the time these spotlights take up usually - and while I did not subscribe this year I'm very happy that I attended this last effort for the season.